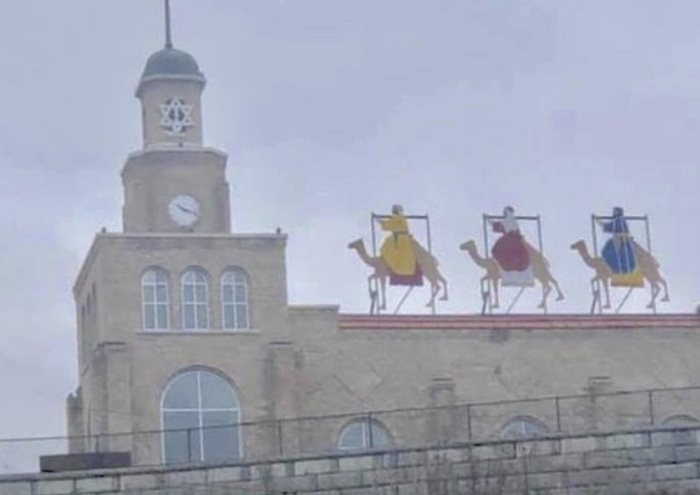 A Michigan school district is being pressured to remove a Three Wise Men display sitting on top of an elementary school but the superintendent is defending it. The Michigan Association of Civil Rights Activists has demanded that Newaygo Public Schools remove a Three Wise Men display located on the roof of Velma Matson Upper Elementary School. The display features the wise men, also sometimes referred to as the "Three Kings,” riding their camels while presumably on their way to see the newborn baby Jesus. The display also features the Star of David located on the school’s clock tower. The wise men are positioned so that they are facing the star. According to screenshots, the school posted a picture of the display on Nov. 24. That picture has since been taken down. LifeSiteNews reports that wooden wise men figurines have been a part of the town’s Christmas decorations since the 1940s and were built by former Newaygo students. 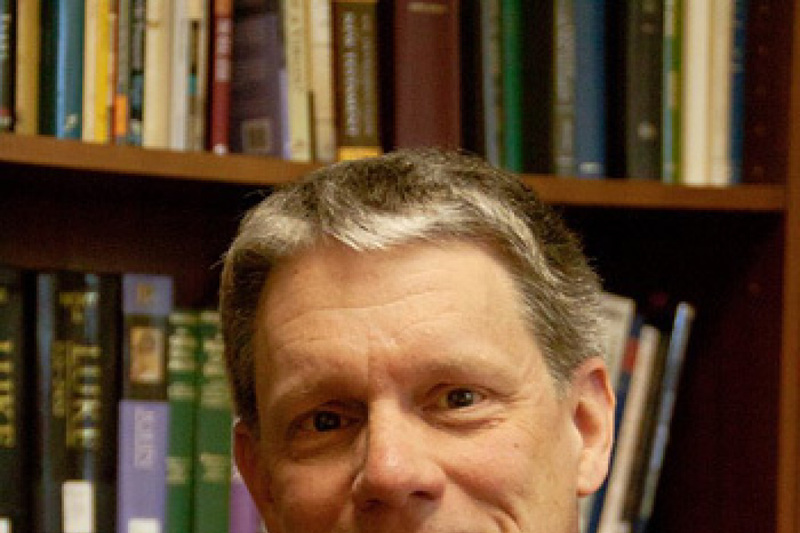 Mitch Kahle, the founder of the Michigan Association of Civil Rights Activists, wrote a letter to Superintendent Dr. Peggy Mathis to argue that the display violates the Establishment Clause of the First Amendment to the U.S. Constitution. Mathis reportedly responded by issuing a since-deleted Facebook post in which she claimed that the display has a “secular purpose,” according to Fox 17. The superintendent also vowed, however, to navigate the activist’s complaint fairly and legally. "Newaygo Public Schools has a legitimate secular purpose for the display. We are both upholding the community's tradition of celebrating a public holiday and attempting to point towards the importance of wisdom, knowledge, and open-mindedness,” she wrote. “They've been described as the scientists of their time. The ‘wise men’ are found in secular and other religious traditions outside of Christianity. Finally, there is no evidence that they were Jewish or Christian before their travels and there is nothing noted in the Christian Bible to indicate anything about any religion they practiced after their travels." Mathis also issued a formal statement on the matter. Over 3,400 people have issued their support in an online petition calling for the Three Wise Men display to be left alone. “Show the group who are asking for the wise men to be taken down that our community wants them there!” the petition states. Resident Debra Webster Hart explained in the comment section of the petition that she wants her granddaughters to have “years of memories” seeing the same wise men that gave her joy when she was younger. Prominent evangelical conservative leaders, such as the Family Research Council’s Tony Perkins and leading evangelist Franklin Graham, the son of Billy Graham, have weighed in on the display. Also coming to the defense of the display was Republican state Sen. Jon Bumstead. 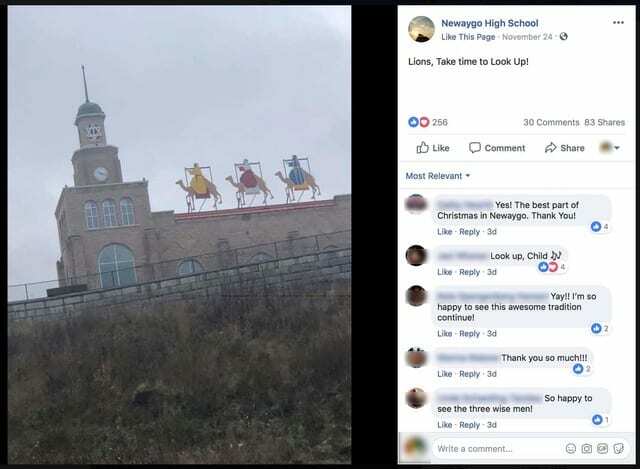 “I stand with Newaygo Public Schools and their decision to uphold the long-standing tradition of placing the Three Wise Men on top of the elementary school,” he wrote in his own Facebook post.